Porwal Auto Components Ltd. (PACL) is involved in the manufacture of a variety of Ductile Iron, Grey Cast Iron Steel and Steel Alloy Casting Components and Subassemblies. PACL caters to the various sectors including Automobile, Engineering, Pumps and Valves, Agriculture and Tractor Equipments, Construction Equipments, Machine Tools, Railways etc. 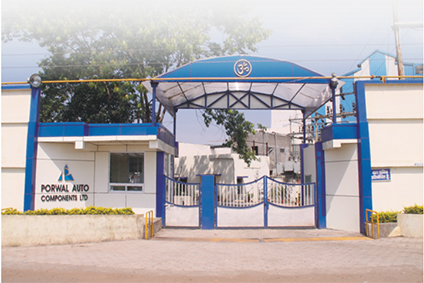 Porwal Auto Components Ltd. was incorporated in the year 1992 as an ancillary to M/s. Eicher Motors Limited now VE Commercial Vehicles Ltd. (A Volvo Group and Eicher Motors joint venture). PACL has registered impressive growth and has established itself as a trusted supplier of Quality Castings and gained recognition from its customers for Outstanding Contribution to Parts Development and Supply Chain Management. PORWAL is committed to enhance Customer Delight and Continual Improvement in Organisational Performance, Process & Productivity through Technology, Innovation and Management System Deployment. Product Quality establishment based on "PIR-RSC"
Yield optimization through synchronized material flow.